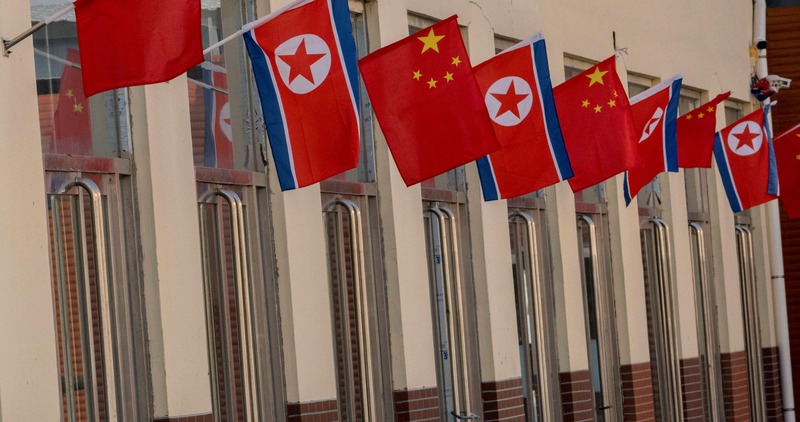 Last month Shen Zhihua, an eminent historian of the Korean War, called the alliance with North Korea 'inherently contradictory', urging China to more actively support peaceful reunification. A few weeks earlier, military commentator Zhao Chu called on Beijing to reset its Korea policy, cooperate more with the US and consider its future interests from the viewpoint of a South-led unified Korea. The debate remains heated, but has shifted towards those in favour of applying more pressure on Pyongyang. Those taking the orthodox position find themselves increasingly isolated. When Yan Xuetong argued in the Global Times that China should simply accept the new reality of a nuclear North Korea, he was sharply rebutted by Korea expert Cao Shigong who spelt out how this would increase the risk of regional instability. China opposes a nuclear North Korea for several reasons. First, it tightens security ties between Japan, South Korea and the US, with the deployment of THAAD in South Korea and potentially in Japan a prime example. Second, China accepting a nuclear North Korea could trigger moves to develop nuclear arms in Japan and South Korea. And third, pre-emptive US strikes and North Korean retaliation could escalate into war, a possibility that can no longer be ruled out. North Korea also poses a threat to Xi's global agenda. The Belt and Road Forum scheduled for 15-16 May bears his logo, and the idea of shifting China's orientation westward is touted as his brainchild, boosting his 'China Solution' to global governance. North Korean nuclear gamesmanship could seriously overshadow the event. Taking power in 2013, Xi changed Beijing's approach to North Korea, aiming for denuclearisation. His predecessor Hu Jintao had expanded bilateral economic and political support after 2009, aiming to enhance Pyongyang's sense of security in the hope of reducing its desire for nuclear weapons. Abandoning this approach, Xi applied pressure on North Korea. He accepted much tougher UN sanctions that targeted North Korea's external revenue as well as the country's nuclear program. He also rolled back economic cooperation and isolated Pyongyang diplomatically. Xi travelled the globe while avoiding contact with the leader of his only treaty ally. The priority Trump assigns to North Korea gives China extra incentive to increase pressure. Beijing's worries about the US relationship after Trump's victory have eased following the Mar-a-Lago summit, with the US now claiming to embrace 'new-style major power relations', a Chinese rhetorical gambit long resisted by Obama. Having invested heavily in developing cordial relations with the US, Xi's eagerness to maintain them is attested by Beijing's silence about the US strikes in Syria, and its decision not to veto the UN Security Council's condemnation of Assad for using chemical weapons. It has been predicted that North Korea will develop the ability to strike the US west coast (or by inference Australia) at some time during the Trump presidency. This, China knows, would be unacceptable to the US, so time to circumvent military escalation is running out. Preparations for the Party Congress this autumn make preventing such an escalation even more urgent. Recent Global Times warnings on reducing oil exports and the tough UNSC statement, which went beyond routine warnings of 'significant measures' to explicitly foreshadow new sanctions, should be viewed in light of this urgency. China still hopes for dialogue, but North Korea's continued intransigence, not least its assassination of Kim Jong Nam, have left no illusions: additional pressure will be needed to make dialogue possible. In 2003 Beijing is thought to have suspended oil exports for three days to force North Korea to participate in the Six-Party Talks. New sanctions could further target Pyongyang's sources of external revenue and financial transactions. If Pyongyang conducts a sixth nuclear test, Beijing will be forced into a strong response. Xi's tacit reassurances to the US must now extend to Australia. Otherwise, Li Keqiang's claims that Australia 'should not pick between the US or China' fall to the ground. Can Beijing act as a guarantor of regional security and stability? North Korea may provide the litmus test.